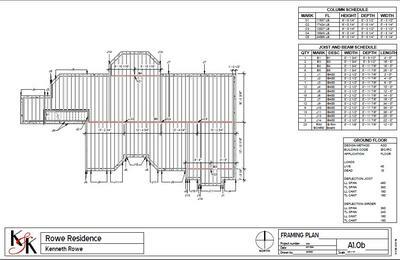 Hi, I am designing a house and I have 3 main beams in the basement that the I-Joist set on top of. The beams will set down in the concrete. Do you have a detail for this situation and how they would attach? I couldn't provide more specific answer because the plans provided is not very clear, hope the answer provided below provide what you're looking for. 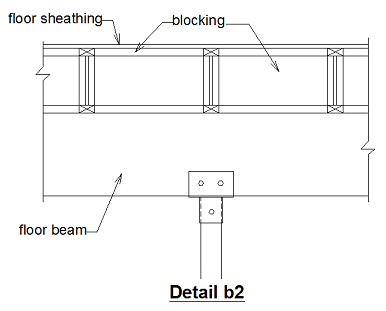 In most cases the beams you're designing are intended to carry vertical loads only. 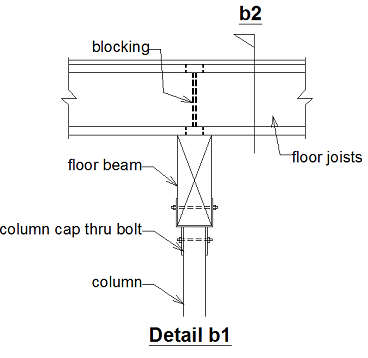 For that reason most building officials and engineers are not very critical with the connection design of beam to column connections. With regard to your question, there are two connection options that I can think of. Detail b4 above provide one of the options. 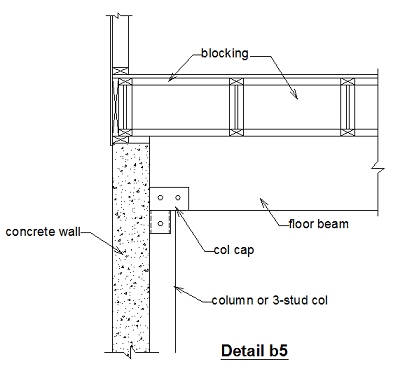 A notch on the concrete wall can be made by building a beam pocket on the foundation wall. 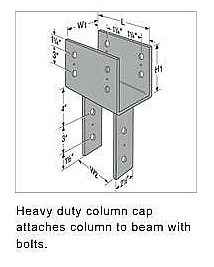 The depth of the beam pocket should meet the minimum bearing length required for the beam. Generally it should be at least 3 inches into the concrete. If you want you can install 2 anchor bolts at the bottom of the beam pocket which will secure a piece of 2x pressure treated for the beam to sit on. 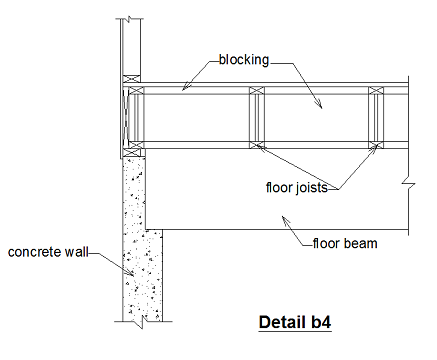 Detail 5 is the other option which calls for a column adjacent to the concrete wall to carry the beam. As mentioned these columns are only for gravity load because all shear and lateral forces are being resisted by the exterior shear walls. In residential construction, it is very rare to see heavily reinforced column connections but should you decide to secure the column or beam to the wall you can always drill and epoxy bolts to the concrete which will allow you to secure the beam to the wall. Detail 1 provides the connection at the interior columns. 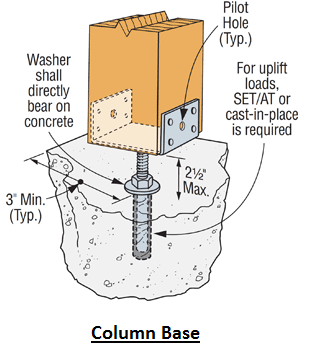 Simpson Strong Tie has a lot of products such as those shown below for column caps and column base that can be used in this application. Another option, not shown in any of the details provided here is to use steel plate or angle. You can use steel angle and bolt one leg to the concrete bolt while the other leg to the beam. 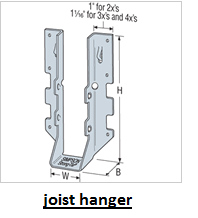 This option will require either epoxy bolts or expansion bolts that will secure one leg to the concrete wall.